Default template displays content on the left and sidebar on the right. If the sidebar is empty, this template displays the content in the middle of the page. Centered template displays content in the middle of the page and disables the sidebar. Fullwidth template also disables the sidebar but uses the full width of the site for content. 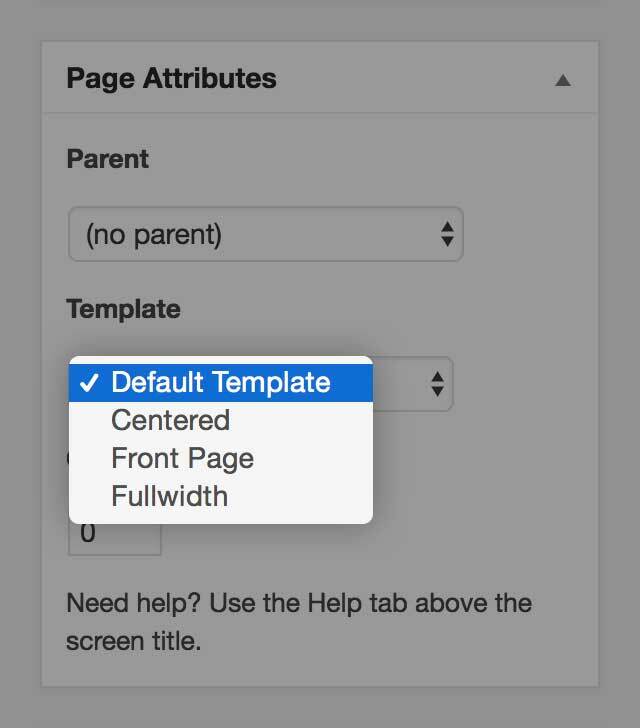 You can select the template for a page using the select box in the Page Attributes widget as seen in the screenshot below.